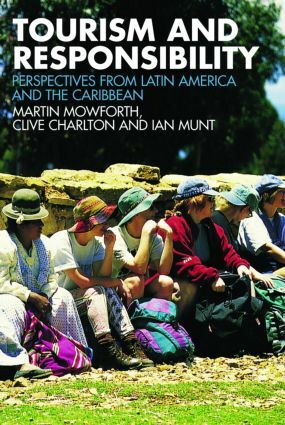 This book discusses the responsibility, or otherwise, of tourism activities in Latin America and the Caribbean. It considers issues such as the reduction of poverty through tourism and the conflict between increasing volumes of air travel spent in our continuing search for pleasure and the resulting contribution to global warming. The authors believe that tourism can only be adequately assessed through a consideration of how it fits into the structure of power. It is also argued that tourism cannot be analyzed without a consideration of its impacts on and links with development. This relationship between tourism, responsibility, power and development is explored in chapters covering both the macro and the micro level of responsibility. The authors look at methods of practising tourism responsibly or irresponsibly at the personal, company, national and international levels. The questions and dilemmas of "placing" responsibility in the tourism industry are examined throughout. Widely illustrating all these themes and issues with examples and case studies from throughout the sub-continent, this book will be of importance to students and academics and to the work of practitioners of development and tourism-related projects run by both governmental and non-governmental aid and development agencies. Tourism and the environment: Eco by name, eco by nature? Urban tourism: the heart of darkness?